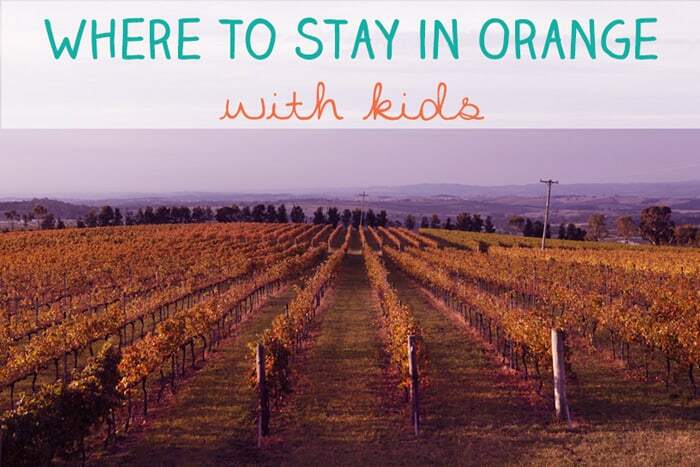 If you’re planning a visit to the beautiful NSW Central West city of Orange, with kids, you’ll be needing somewhere to stay. Here’s the best of the Orange accommodation we can recommend. We have stayed in Orange many many times and tried out most of these places ourselves. 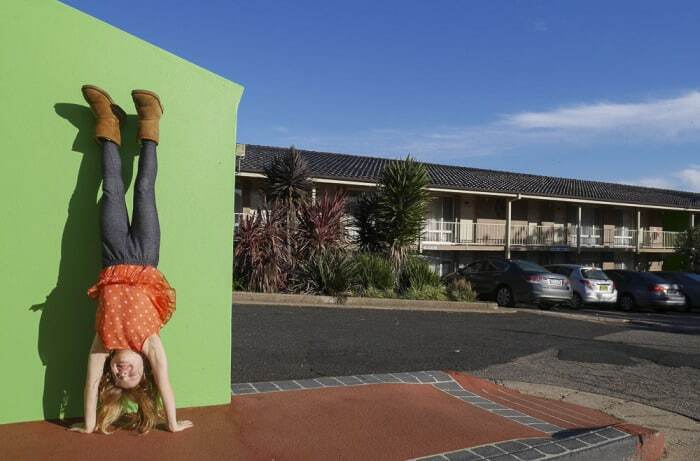 There really is something for every budget in Orange, so let’s take a wee look around. I’m listing them with my own favourites at the top. PS Check out good current deals at the end of this post too. 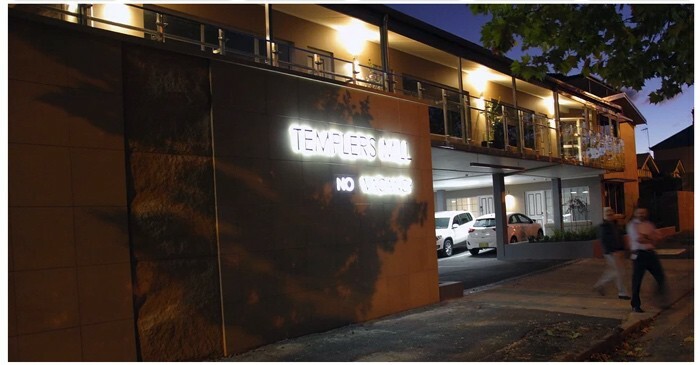 This is one of the most upmarket options in Orange, and centrally located in Hill Street. We’ve stayed in a two bedroom suite here which worked really well for us. The rooms are very luxurious. The only thing lacking really is that there are no good views. Check prices and availability at the de Russie Suites here. This very grand historic building is at the west end of town, within the grounds of Duntryleague Golf Course. We had one high-ceilinged room which could sleep four people. Hubby did a 6am round of golf which the rest of us totally slept through. 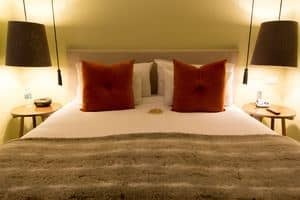 Check prices and availability at Duntryleague Guesthouse here. 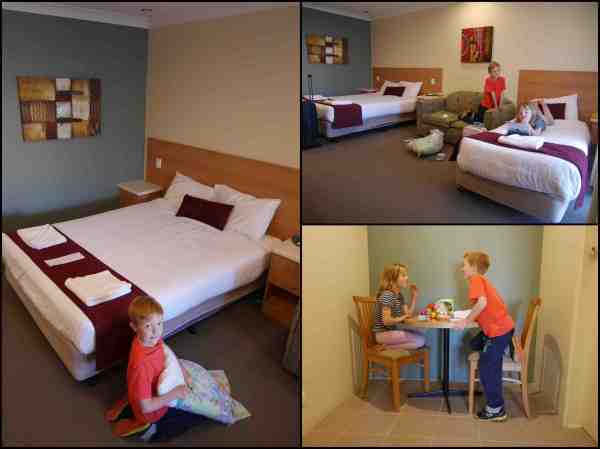 The twins and I stayed here on our very first visit to Orange, on the way home from staying at Dubbo’s Western Plains Zoo. We had a huge room with two queen beds and a small kitchen. It’s handy to have a bistro in house too when travelling. Check prices and availability at the Ibis Styles Orange here. 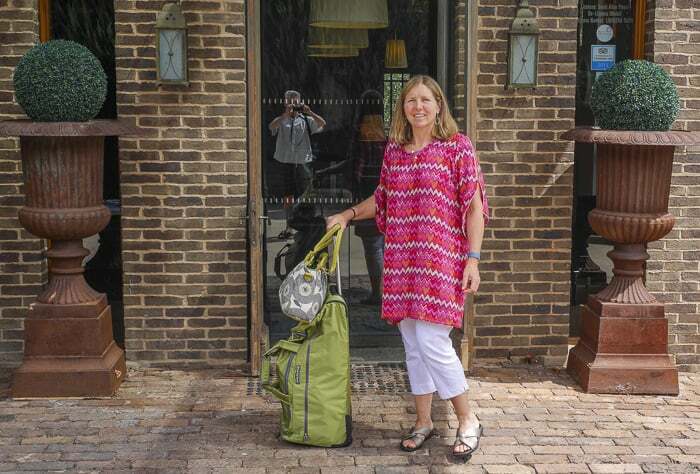 Read our review of the Ibis Styles Orange here. This motel has large and comfortable rooms, we’ve stayed in one room which easily slept four. It’s on Byng Street in the heart of Orange city centre. Check prices and availability at Templers Mill here. We’ve rented houses for a week at a time using OCSA and have found the people who run it fantastically helpful. I’d recommend giving them a call on and explaining how many people you are and what you are looking for. You’ll find many options on Airbnb as you’d expect. Find the Orange page here. We spent a weekend in one of these apartments near Cook Park. It was large and very well laid out, with great central heating and a good kitchen. For couples escaping the kids, I would rally recommend this beautiful historic flat right in the centre of Orange. 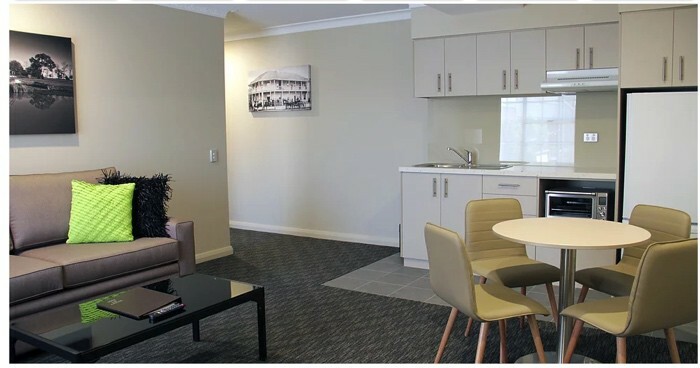 The Heart of Orange is a newly renovated one bedroom apartment in Anson Street. It could not be a handier spot, there are shops, restaurants and cafes all around and there’s off road parking right there. Do check out the website for Heart of Orange here. 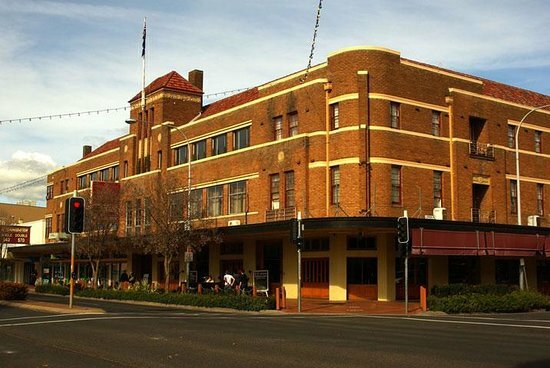 The Hotel Canobolas is an iconic old pub now modernised and serving great food, right in the heart of Orange. There are rooms in the hotel itself and there are super popular for couple. For families, we’ve heard that the motel and units are good. There are family, double and queen rooms available, just a couple of minutes walk from the hotel. 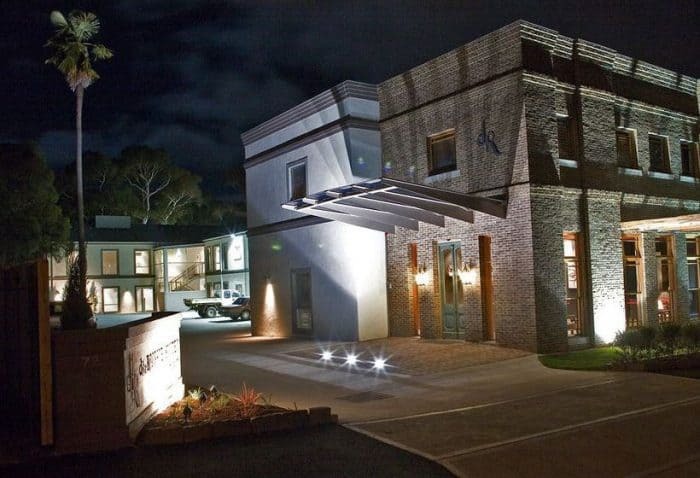 Check availability and pricing at the Hotel Canobolas Motel and Units here. For a more rustic stay, the Black Sheep in is just 15 minutes out of town and has family accommodation. Check prices and availability at the Black Sheep Inn here. Happy holiday planning. 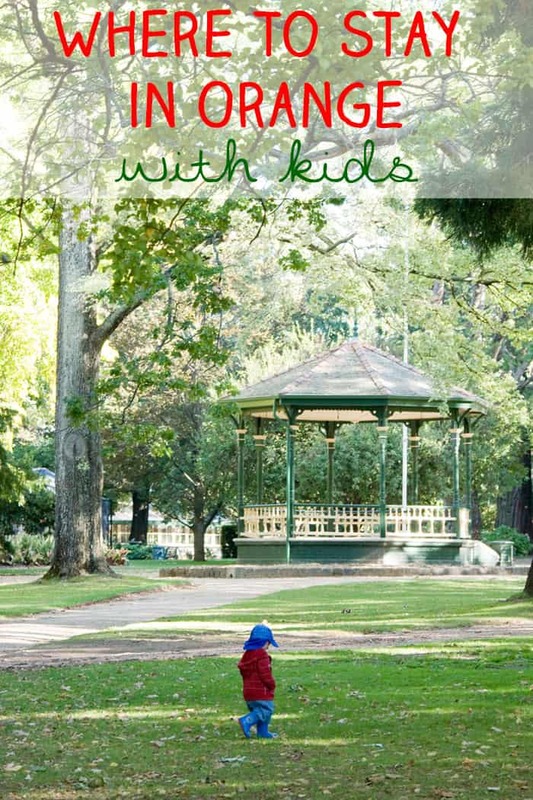 Orange is the most lovely place for families, lots to see and do here. Can you recommend a place to stay yourself? Pin this post for later! Just click the image below! This is great! Now, I have the idea where the place we could stay in. Thank you for sharing!